Planning a trip to France for D-Day75? June 6, 2019 marks the 75th anniversary of D-Day and the Normandy Campaign. The Juno Beach Centre looks forward to welcoming thousands of Canadians through our door during this important anniversary year. Several Canadian travel companies will be offering a variety of options for travelling to Normandy in 2019. If you’re interested in joining their tours, or planning your own trip to Normandy, take a look at the information below! Don’t hesitate to reach out to our team with any questions about visiting the Juno Beach area! We’re always happy to help by answering questions, offering suggestions, and helping you to follow in the footsteps of the Canadians that came before you! TPI Travel has arranged a special commemorative tour for the 75th anniversary of D-Day to remember and pay tribute to our Canadian heroes. To find out how you can take part in this historic trip to Normandy where so many Canadian soldiers fought for our freedom, visit their website and connect with them on twitter. Check out their brochure for details! Liberation Tours is proud to offer two tours to Normandy for the upcoming 75th Anniversary of D-Day – a full 16-day Northwest Europe Canadian Battlefield Tour and a special 8-Day Commemoration D-Day Tour. Join them on the trip of a lifetime full of historical and military expertise. For more information, contact: John Cannon, Tour Director, 905-252-0300 or john.cannon@liberationtours.ca, or download the brochure. If you’ll already be in Europe and only want to spend a few days on the Canadian battlefields, check out some of the operators listed here for tour options that other visitors have enjoyed! European River cruises exploring the incredible cities along the continent’s major waterways have gained in popularity in recent years. Several tours of the Seine include excursions to major Canadian sites including the Juno Beach Centre. ShipsorTrips.com has partnered with AmaWaterways to offer a 7 day public tour which allows for exploration of Canada’s military history alongside authentic French cultural experiences. This 7 night cruise departs from Paris and offers options for everyone. For more information, see their brochure or reach out to Glenn and Rose Warnica by phone at 905-632-3404 or by email warnica@shipsortrips.com. Avalon Waterways is offering a WWII Remembrance and History Cruise, departing and finishing in Paris. This inspiring French river cruise on the Seine invites you to walk in the footsteps of master artists, medieval architects, and magnificent heroes in remembrance of the history of the Second World War. For more information, check out their website or give their representatives a call at 1-800-268-3636. Ellison Travel and Tours is a Canadian-owned company that has been planning tailor-made battlefield tours for Canadian groups to France, Belgium and beyond, throughout their 38 years in business. Whether your group is large or small, a family, a school, a regiment, or other, they have the knowledge and the contacts to prepare a customized, private tour for you, based on your specific requests of destinations and sites. There are many tours on the market which will allow Canadians to participate in the very moving experience of visiting Normandy and the Juno Beach Centre for the 75th anniversary of D-Day on June 6th, 2019. Ellison’s recommendation, however, is to visit at a different time, when crowds are fewer, sites are more accessible, and travellers have a better opportunity for a more personal experience. If you are interested in speaking about the possibility of organizing a private group tour which includes the Juno Beach Centre in 2019 or beyond, please contact Tracey McCormick at 1-800-265-7022 or at traceym@ettravel.com. For more travel inspiration, stories, videos, special offers, and travel opportunities, check out JunoBeachTravel.com. If you’re an avid (or a beginner!) cyclist, then the Maple Leaf Route Cycling Tour may be for you. Find more information here about cycling the route of Canadians through the Normandy, or support the Juno Beach Centre by buying the guidebook! Canadians came together in the First World War as they took Vimy Ridge, and again in the Second World War when the stormed the Normandy beachhead at Juno. Visits to these two milestone sites while you’re in France are essential, and together they make up the ultimate Canadian Pilgrimage. Did you know that they’re closer together than Ottawa and Toronto? Find more information here about the different ways you can incorporate visits to both the Canadian Vimy Memorial and the Juno Beach Centre into your trip. Thanks to the many tour operators across Canada who continue to support the Juno Beach Centre by helping Canadians reach us in Normandy! Do you have a 75th anniversary tour that you would like to see featured here? Let us know by getting in touch: jbca@junobeach.org. Dispatches from Juno shares all the news, events, and stories from the Juno Beach Centre in France and Canada. Interested in contributing a story to the blog? Email the editor at jbca@junobeach.org. 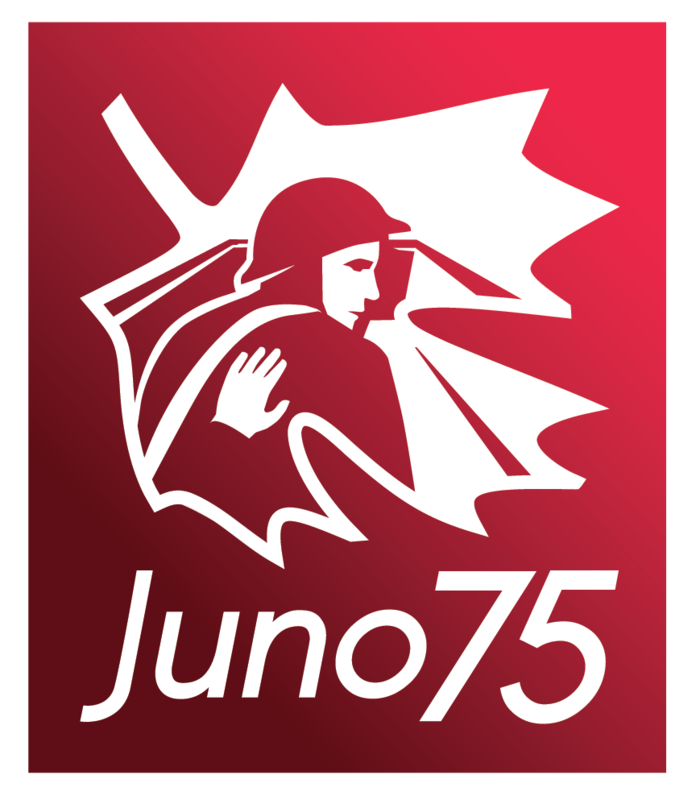 The Juno Beach Centre is Partnering with the Highway of Heroes Tree Campaign for Juno75! Nous recrutons pour notre boutique !